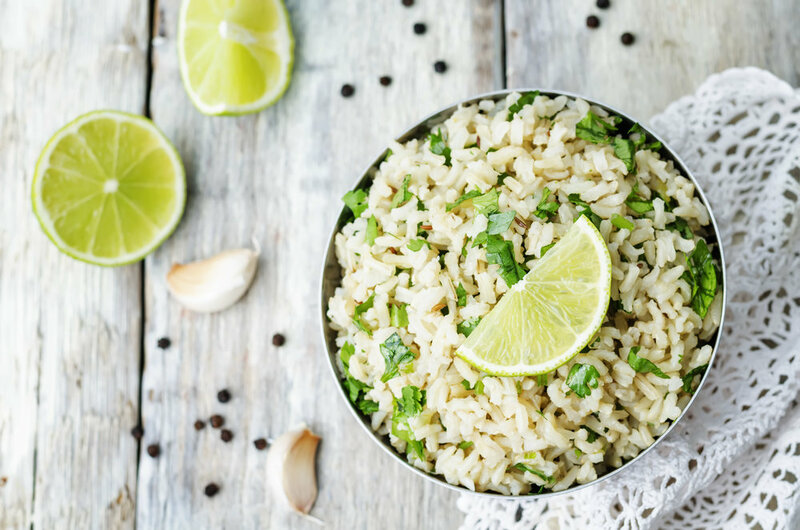 def: Rice Pilaf - Rice cooked in a seasoned broth. Pre-heat your oven to 160C degrees. Heat up saucepan and add the olive oil. Sweat the chopped onions followed by the garlic. Add 3 cups of rice (no need to wash beforehand) and let it sizzle and toast for 5 minutes. Place your index finger so that it is touching the surface of the rice. Add enough water to come up to your first knuckle. Add a pinch of salt. As soon as the water reaches the boil, cover with a lid and place the saucepan in the oven for 18 minutes. Remove from oven and set aside, with the lid on, for another 5 minutes. 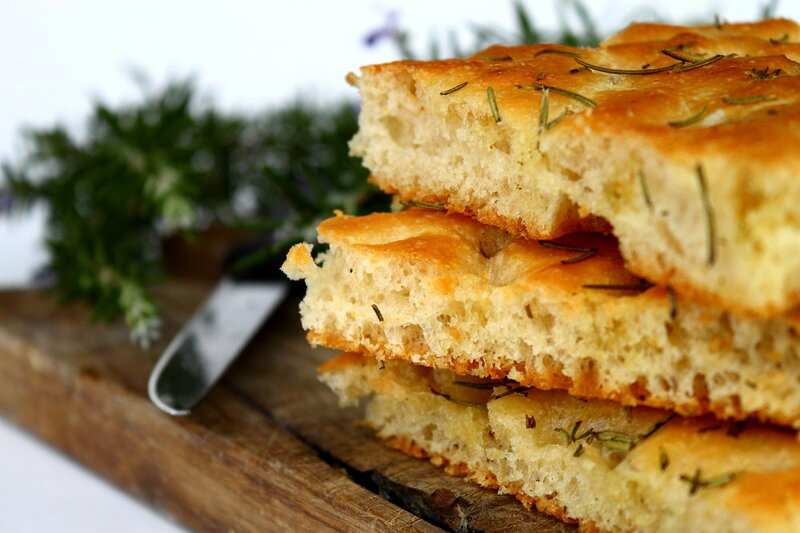 def: Focaccia - Satisfy your palate with this versatile Italian bread. Combine Flour, salt and add half the water, mix well. Use 4 tbsp of water to dissolve the yeast in it. Add rest of the water including the yeast water into the mixture. Mix well until smooth about 6- 8min. Place into an oiled chasseur pan and leave until doubled. Sprinkle olive oil, rosemary, garlic and flake salt on top. Bake at 220C for about 15-17 min. Half way through baking sprinkle water into the oven with your fingers to create a bit of steam. Sprinkle 2 tbs of sugar over the base of a large, heavy bottomed saucepan - this will melt and coat the bottom of the pan to help prevent the milk burning. Add milk, vanilla bean and seeds - bring to the boil and simmer for 5 minutes. Remove from the heat and remove vanilla bean. Mix together the egg yolks and sugar until creamy. Add flour and cornflour and whisk until combined. It is important to whisk until all graininess is removed. Pour ⅓ of the milk and vanilla mixture into the egg, sugar and flour mixture and whisk until well combined. Pour back into the remaining milk, return to the heat and simmer for 30 seconds, whisking continuously. Do not boil! In a large pot, add the rose hip buds and the water and bring to the boil. Cover and simmer for 45 minutes or until the buds are broken down and the consistency is that of a soft puree. Using a strainer or vegetable mill, strain the mixture to separate the pulp and the seeds. Discard the seeds. Weigh the pulp and add to a pot with sugar of the same weight. Add lemon juice and bring to the boil. The consistency of the jam will be determined by the boiling time - the longer it boils, the thicker the jam. Once sticky and thick, pour the jam into sterilised jars and seal. This incredibly sweet and healthy jam is beautiful as a sweet drizzling on toast, bread, cake, scones, desserts, anything really! Enjoy right away or keep in jars at room temp for up to two years. Heat a large cast iron pan over medium-high and add oil. Fry onion and garlic for 2 minutes until soft. Add spices and fry for another minute. Add beans and cover with cold water. Cook for 1 hour or until tender. Season with salt, pepper and lime juice. Serve with the Braised Pork Carnitas. Yum!